Stockton-based HMH Civils has been selected to deliver the contract for a new development on the Wynyard Park estate adjacent to Wynyard Village, located between Hartlepool and Stockton. The works include creating roads and sewers for Wynyard Park’s unique schemes of self-build plots, with exclusive pockets of land where people have bought land to design and create their own homes. This is HMH Civils’ third contract for Wynyard Park and the work to date has resulted in the company creating 10 full-time staff and 250 jobs for local construction workers. Director John Hughes – pictured below (left) with Wynyard Park’s development director Matt Johnson – said the company was delighted to have been appointed for the further works. “Our aim is always to provide value in engineering for our clients and to show the best value we can,” said Hughes. “This new contract, our third for Wynyard Park, shows that we are delivering on that. Johnson added: “Wynyard Park is a significant development for the Teesside area and we are committed to using local companies and suppliers wherever we can so we are very pleased to be working with HMH Civils who have in turn created local jobs. “Our scheme is backed by private investment and we are very proud to be having a positive impact on the local economy. 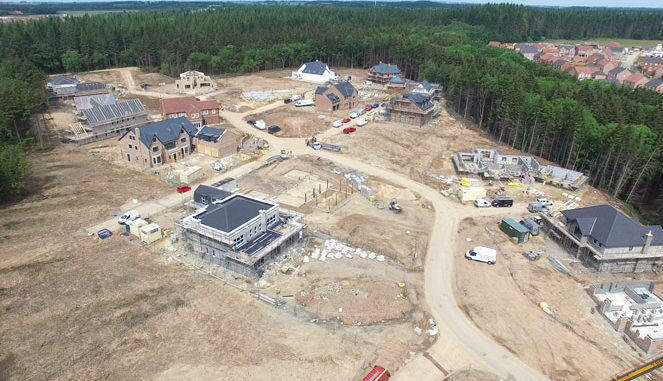 Wynyard Park is an exclusive housing development set amongst 180 acres of woodland that includes a range of homes from entry level and executive houses from national housebuilders to areas created specifically for self-build.